New content available. Click here to refresh. No sign up required. Works completely offline. Please send us an email — we&apos;d love to help! Click the button above to go the the app, remove your internet connection, and refresh the page. The app will still be available! By being a web app, this app works across all platforms (Windows, Mac OS X, Linux). Just make sure you have a modern browser (Chrome, Firefox, Edge). Your budget data will not be available in other browsers or on other computers and could be lost if you clear your browser&apos;s data, since your data is not synced but kept on your device instead. If you like it, please consider the paid plan below! For a small fee, Financier can sync your budget information to ensure you do not lose any information. The sync mechanism works like Google Docs, syncing live across devices, if you have an internet connection. If you don&apos;t have an internet connection, you can still use Financier. Once you come back online, your budgets will sync. Magic. The annual fee is only one dollar per month. Just one. We want to be affordable for you -- budgeting should not break your budget! If you want to sync your budgets to ensure you do not accidentally lose them, please sign up for our paid plan. Using Financier should be straightforward. There are three main views: budget, accounts and reports. 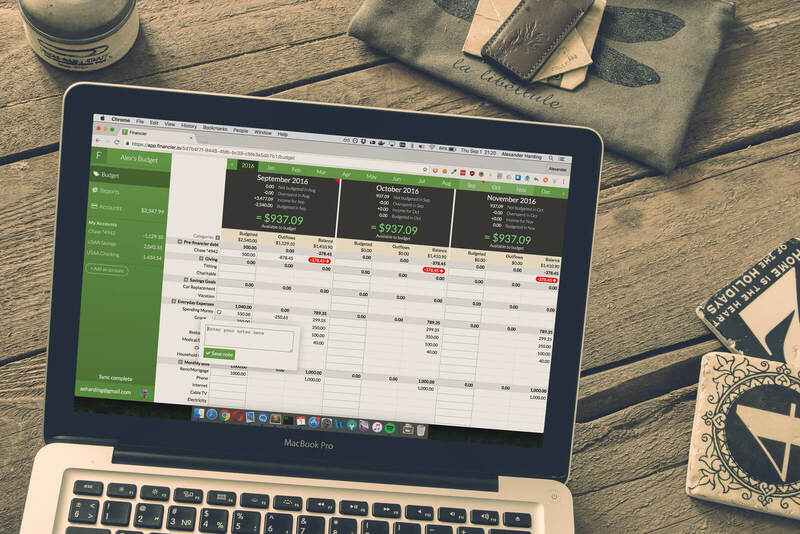 Budget is the main dashboard for viewing month-to-month budgets. Here you can edit the budget for your various categories and see how you&apos;re doing. Accounts is where you enter transactions and income as they show up in your bank account(s) or credit card(s). After you add a transaction or income, head back on over to budget to budget your income or assess your budget. Reports is where you can see trends over the span of many months in various visualizations.